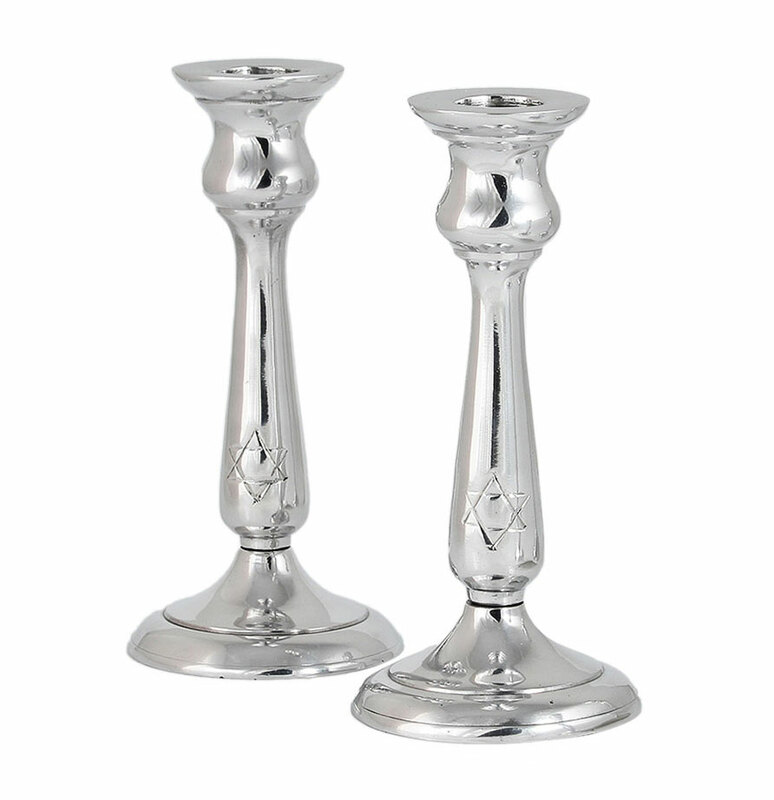 Aluminum Candlestick set. A unique new addition to our Shabbat Collection. A beautifully simple style for a display of elegance at parties or ritual use, the hand hammered detailing give it additional charm. Item design was inspired by a vintage sterling collectors candlesticks dating back to Prague 18th century.